That's a good idea Kham, I have started doing that. But in order to accomplish this I still need to understand exactly how the parallax numbers are calculated in the Copernican system. For them to make sense in the Copernican model the observations should be made all in a standard timeframe, for example between december 21 and june 21. Or else you would have to use the predicted displacement of the earth to calculate the parallax, which seems to be the case. I could use your help in figuring out these calculations to see exactly under which conditions they turn out negative. What is measured is the offset of the position of a star in two different images. Then a set of calculations are applied which factor in various angles and distances and corrections for all sorts of motions and variables in the viewing environment. That is repeated several times, and the average value of the result is the distance in parsecs. Actually Kham, I could use your mathematical help for something else. I am challenging Simon's assumption from his book, in chapter 8 that in the Copernican model the sun's declination should change in a linear fashion during the course of a year. Since the sun's declination is important for the placement of solar panels or the prediction of shadows, I found a lot of sites where you can calculate this and it is definitely not linear. Interestingly, on this site where they show how this is calculated, I think they use a model exactly like Simon's. To understand how the declination angle varies with time, geometricians define a celestial sphere, of infinite radius, that rotates around the earth, the center point of the sphere. The intersection between the equatorial plane of the earth with the celestial sphere defines the celestial equator. From the point of view of the celestial sphere, the sun follows an orbit over the course of a year on the ecliptic. It is tilted 23.5 with respect to the celestial equator. As far as I can tell, in deriving the formula for the sun's declination they never use the earths elliptical motion, it is all circular. I am trying to understand if the movement of the sun relative to the earth is perhaps the same in both models. Would you be able to mathematically prove or disprove that? Would you perhaps be able to derive the equations for the sun's declination for both models, so we could compare them? There is a formula on the page I linked to, but I think this is based on Simon's model. Last edited by Seneca on Sun Apr 22, 2018 4:36 pm, edited 1 time in total. I could use your help in figuring out these calculations to see exactly under which conditions they turn out negative. For the information you require go straight to the source: the organizations that collected the Hipparchus and Tycho catalogues. I could use your mathematical help for something else. ... Would you perhaps be able to derive the equations for the sun's declination for both models, so we could compare them? There is a formula on the page I linked to, but I actually think this is based on Simon's model. For the information you require on the Copernican model I suggest you contact the Astronomy Department of any community college or university. In fact, contact several in case there might be competing information. Look forward to reading your informative post. Perhaps the 'boldest' contention that I put forth in my book is that the stars are MUCH closer than currently believed. This was, of course, also Tycho Brahe's strongly-asserted (and well-informed!) opinion – and the MAIN reason why he vehemently rejected the Copernican model. In astronomy literature, it is often condescendingly claimed that his rejection was due to him being unable to detect any stellar parallaxes (since this can only be done with modern telescopes). This is not exactly true: he rejected the Copernican model on terms of pure logic: WHY, he asked, would there be such an enormous void between the furthest planet of our solar system (at the time, Saturn) – and our nearmost star? To be sure, we are told that our nearmost “star” (PROXIMA Centauri), is about 28000 X further away from us than Saturn ! So, between Saturn and PROXIMA, there would only be a handful of other celestial bodies (such as Neptune, Uranus, Pluto and little more!) Now, how bizarre is that? Those who have read my TYCHOS book will be familiar with the simple calculation I made to propound the possibility that the stars are considerably closer than we are told: since Earth - in the TYCHOS - moves (around its PVP orbit) by only 7018 km every six months (as opposed to 299.2 Mkm, or 2AU, as of the Copernican theory), ALL the stellar parallax calculations performed to this day are “inflated” by a factor of (approx) 42633. I do of course realize that this is a rather “wild contention” of mine – yet if my (and Tycho Brahe's) inklings about stellar distances turn out to be dead wrong, I will have no problem retracting them in the 2nd edition of my book. After all, it isn't the main point of the TYCHOS model – which deals primarily with the geometry of our inner solar system. So let's see if we can find any clues in support of those “outrageous” contentions of mine (which, predictably, have already been derided and scoffed at by some silly clowns pretending to 'help out' with my TYCHOS research... Seems like history indeed repeats itself!). Now, to follow my reasoning, you will have to know that 1,296,000 arc seconds = 360° (a full circle). Not many people know about "arc seconds". Well, it so happens that 725.27 km X 1,296,000 = 939,949,920 km, i.e. almost exactly the Sun's orbital circumference – as of the TYCHOS ! (Oh well, in my book I have the Sun's orbital circumference at 939,943,910 km – a mere 0.00063939 % discrepancy, so you may hopefully not hold me up on that ! ). In other words, if you were looking at a 725.27km-wide sunspot, it would subtend 1 arcsecond in your 360° celestial field of vision (as defined by the Earth-Sun distance of 1 AU - the so-called Astronomical Unit). So let us now take a close look at our nearmost “stellar” object, namely, PROXIMA Centauri. According to my TYCHOS model, PROXIMA (our nearmost “star”) would be 42633 X closer than currently believed. As we saw earlier, 1 arcsecond of an object at 1 AU represents 725.27 km. Now, please note that they determine the parallactic angle considering a baseline of 1 AU (and not of 2 AU). This means that the 0.76813" parallax of PROXIMA (our nearmost "stellar object") was determined using a trigonometric baseline of 1 AU - corresponding to Earth's 'transverse' displacement over HALF of a six month period. Well, in the TYCHOS, Earth moves by 7018 km in six months. In HALF that period, it moves by 3509 km. So, basically, PROXIMA's observed parallax may well be, quite simply, caused by Earth's 1-mph-motion! 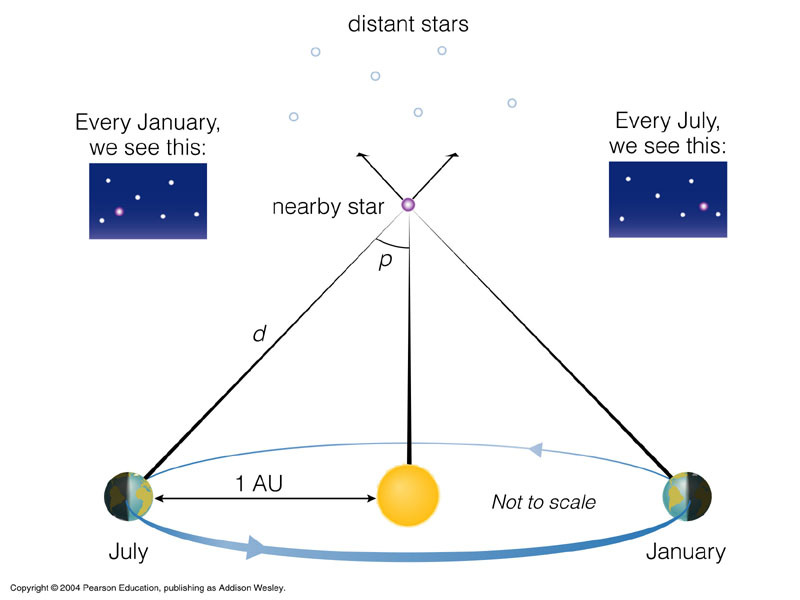 To be sure, astronomers take into account (and subtract) any given star's assumed proper motion and, of course, the circa 50" (arc seconds) of annual precession. Hence, the little "parallax" value they are left with (the observed transverse / lateral drift of a nearby star in relation to distant stars) - probably just reflects Earth's 1-mph-motion around its PVP orbit. I think I'm on to something - regarding stellar distances. Only time will tell though. In the meanwhile, let the naysayers sneer and scorn to their heart's content. simonshack wrote: In the meanwhile, let the naysayers sneer and scorn to their heart's content. I think it's pretty "fitting" (and - uh - probably not coincidental) that the chosen moniker of the entity which initially "hugged up" enthusiastically to my plucky TYCHOS research (only to soon flip-flop and start backstabbing it) is "GAIA". As Cluesforum 'veterans' may know, Gaia (the Fakeologist) is none other than 'Selene' - aka 'Vera Obscurata' - who signed up twice (under those two monikers) at Cluesforum back around 2015 as I was developing the TYCHOS, and was banned twice from our valiant forum - due to his silly & childish behavior. Back then, he once called me by phone and, in his shrill and petulant voice, told me that he was a Dutch geologist living somewhere in South America. Today, the Gaia Clown (as I will henceforth call him) is huddling at the Fakeologist blog, throwing pebbles at my ongoing cosmological research on a daily basis. It wouldn't surprise me for a minute if it turns out that the Gaia Clown is, in fact, employed by ESA to pooh-pooh the TYCHOS model. The funniest thing about all this - is that the Gaia Clown is actually providing me great input and inspiration to forward my research. For instance, his last rant against my work (where he calls me "a real good mainstream bullpsientist") includes a list of 8 of our nearmost stars. 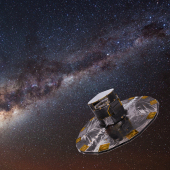 Well, since our grassroot, zero-budget investigation about the legitimacy of ESA's stellar parallax data (already questioned years ago by eminent astronomers such as Vittorio Goretti) ideally needs to focus on only a few of our nearmost stars (we cannot pretend to compete with the billion stars allegedly measured by the "Gaia satellite"! ), I now wish to thank the Gaia Clown for his efforts. I will now look at the FULL set of data concerning these 8 nearmost stars - and see if they may provide any useful / revealing information. Stay tuned. What must be crystal clear by now, is that the Gaia Clown presents the official ESA data as "gospel". He certainly is no investigator worthy of the name. 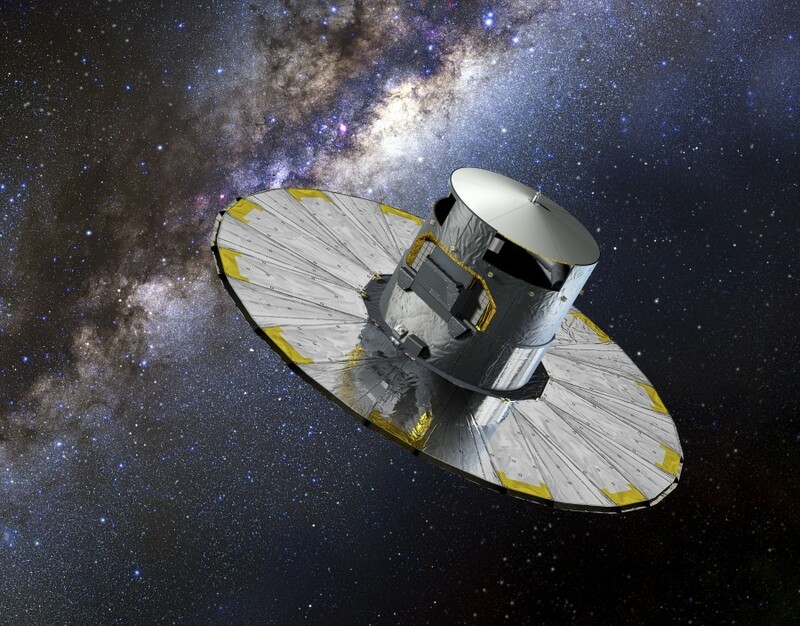 "Last month, ESA's Gaia satellite experienced a technical anomaly followed by a 'safe mode' event. After thorough examination, the spacecraft was successfully recovered and resumed normal scientific operations, while the mission team keeps investigating the exact cause of the anomaly." I guess they perform these satellite 'repair & maintenance jobs' by remote control. They sure love their baco-foil! It looks just like a Korean top knot hat! Why did they do that? Is this some attempt to attract Korean partners? Does this have to do with the recent North Korean "softening" going on in the media? Such a hat is called a "gat" ... Gat for Gaia? In any case, the article you linked to is written in such a typically weird passive voice for NASA/ESA that I cannot be surprised it contains almost no confirmable information whatsoever — save maybe someone you might contact and ask if it went as "reported". - So is it true, everything written about in the article? - Okay, I guess I'll have to trust you on all that. Thanks! So here we are. On May Day, an ancient northern hemisphere spring festival (https://en.wikipedia.org/wiki/May_Day), Tychosium 3D was released. Not planned, but I'm glad it turned out like that since the Tychos model itself was released on a special date - The Vernal Equinox.of 2018. This is to me as a developer, the most interesting and important project I've ever have had the fortune to work with. The reason for that is of course that the model - Tychos, that this digital planetarium simulates, seems to be the best representation of our solar system ever conceived. And the evidence for that only gets stronger as its creator Simon Shack, continues to work with it and find more data and observations that supports that assumption. I hope everyone will find the user interface pretty straight forward and self explanatory, there is a screen-cast I've made previously that explains it and I will make more in the future. One of the things I find so appealing with this model and developing this simulator, is that it contains absolutely no magic or trickery whatsoever. Nature speaks in simple terms. All planets and the Sun move at constant speeds in circular orbits, and this creates a representation of our system that is in perfect accordance with actual observations. I have looked into Keplerian/Newtonian orbital mechanics, and from my understanding it contains quite a few "magical" constants and adjustments. The Copernican model does however work with respect to the planets and the Sun, which is understandable when it assumes planets can move in ellipses at variable speeds, since all parameters then can be adjusted. But where the Copernican model fail as opposed to Tychos (as Tychosium 2D already demonstrates), is when the stars are brought into the picture. The Copernican model does not account for the planets movements in relation to the stars. So expect a new release pretty soon where Tychosium 3D features stars and reference lines to illustrate this. I hope everyone will enjoy Tychosium 3D by buying access to it on Tychos.info, and support Simons work at this early stage when its needed the most. When you buy access you of course also get access to future updates of the Tychosium 3D. Please be aware however that it may take little more time for Hoi to get the link to Tychosium 3D in place on the Tychos website. I assume the simulation still does not allow one to view the model from an Earthly position, thus making it impossible to compare the model with easily-made observations...? If so, when might we expect such a feature to be implemented? When will it truly be a “planetarium”? Okay, Tychosium 3-D (version 1 ) has been added to Tychos.info now! Say what? Impossible? Tychosium was literally made by comparing Earthly observations with the planetariums behavior, using Neave and other resources. Of course Earthly view is a great feature that will be implemented eventually but in no way does the absence of it make it "impossible" to confirm the model. Let me explain - You look at say the Sun in Neave at a particular date and note where the planets are. The easiest thing is to look for conjunctions. Both Tychosiums start at a Sun, Mars, Venus conjunction that occurred year 2000. And then you mentally switch between a birds eye and an earth view. I can get fed up with the type of attitude I think you are displaying. You want "knowledge" spoon fed. And if it's not served in the way you want it, you blatantly voice discontent. Sometimes you actually have to buy and read a real book to learn something you know. I suggest you do that in this case if you're genuinely interested in learning about the solar system and then come back with a somewhat more informed criticism. PianoRacer » May 2nd, 2018, 1:34 am wrote: I assume the simulation still does not allow one to view the model from an Earthly position, thus making it impossible to compare the model with easily-made observations...? If so, when might we expect such a feature to be implemented? When will it truly be a “planetarium”? I would say that both the Tychosium 2D and the Tychosium 3D may already be called "planetariums" in their own right (but not yet "stellariums"), although they currently only include the planets (and moons) of our so-called "inner" solar system. They allow you to view the interaction between the bodies comprised in our 'immediate cosmic neighborhood' to a high level of accuracy and, as Patrix rightly stated, without the need for any magical, otherwordly laws of optics and perspective (as opposed to the Copernican model's proposed geometry). Keep in mind that what the two Tychosiums are showing is a system based on uniform circular motion (all orbits are quite simply, and as nature would 'prefer', circular) - something which our ancient astronomers attempted to attain for, well, centuries galore. 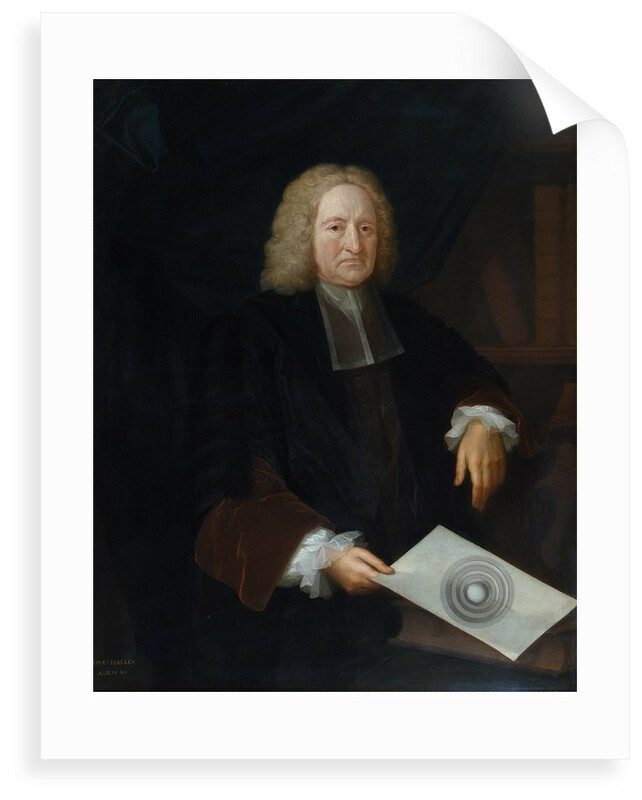 That is, until Mr Kepler came along and, by mathematically squeezing and stretching those pesky planetary orbits, "made it work" (to a certain, abstract extent). However, and as I thoroughly expound and illustrate in my TYCHOS book, the Copernican / Keplerian is fundamentally flawed for a number of reasons - some of which should be, I dare say, clear as day (to anyone spending a modicum of time and effort to assess them). Go to 2018-07-10. Take note of the position of Venus which, on that date, will conjunct with star Regulus. Then go to 2020-10-03. This is also a date in which Venus will conjunct with star Regulus. As you can see, the TYCHOS model correctly shows Venus conjuncting with star Regulus on both of those dates. Of course, Copernican advocates will tell you that this is because "the stars or sooo very far away - and therefore star Regulus will always line up with Venus in that general celestial direction"... (I'm loosely quoting the answer I got from a young Italian astronomy sub-graduate whom I submitted this question to a few months ago). So yes, the Tychosium 2D and 3D simulators truly deserve to be called "planetariums" - since they are today the only existing planetariums which agree / conform with empirical observation. The onus is now on all Copernican / Keplerian advocates to defend their long-held convictions. I wish them the best of luck. patrix » May 2nd, 2018, 12:24 am wrote: You look at say the Sun in Neave at a particular date and note where the planets are. The easiest thing is to look for conjunctions. Both Tychosiums start at a Sun, Mars, Venus conjunction that occurred year 2000. And then you mentally switch between a birds eye and an earth view. Thanks Patrix, I will give that a shot (along with Simon's recommendations). Not sure where you are getting any of that. I don't want "knowledge spoon fed", I want a model of the "solar system" that lets me put the camera at any point on Earth, so I can compare observations I can make myself to the proposed model. We're not talking about a particularly complex 3d model here, we've got what, a handful of spheres traveling in predictable, circular orbits? Why is it so difficult to move the camera around in such a simplistic 3d model? Anyway, quick question - am I supposed to be able to see the HTML/CSS/JS windows in Tychosium 2D? It seems like that is something that should only be shown to editors/admins, etc. Last edited by PianoRacer on Wed May 02, 2018 11:14 pm, edited 2 times in total. Hmm, I don't see a listing for a transit of Mercury on the date given: 1754-04-19. I'm sure I am missing something obvious, but in the TYCHOS model, it seems like a mercury transit would occur every few months, which certainly isn't what we observe in the sky. What am I missing? Thanks in advance for the help and apologies if I am once again asking for "knowledge spoon fed" - or maybe I am asking for the "sun and the moon"!